Dr. Chin promotes health and well-being. He hopes that the patient adopts a positive attitude for self-improvement and maintenance of a healthy lifestyle to increase their own longevity. He feels that surgery is just one part of this process to a more meaningful and productive life. Dr. Chin's primary interest is in cosmetic or aesthetic surgery to enhance the natural beauty of his patients while preserving their unique ethnic characteristics. He feels that there should be a harmonious balance between the external beauty and the inner beauty and how one feels about them self. Often, there exists an imbalance of disproportionate areas of the body, which are "too big, too small, too wide, too loose, too wrinkled." There are many conditions that are beyond the ability of the patient to improve them self and surgical intervention may be the next step for the patient desiring a change. Dr. Chin's philosophy is to remove these "distractions" so that others will focus on you, the person, rather than a specific body part or irregularity. This typically improves the patient's self esteem which may further impact their life as a whole. The effect from body sculpturing, for example, often leads to an alteration in lifestyle by encouraging a change in eating habits and improvement in health through a balance of diet and exercise. Dr. Chin strives to perform these anatomic transformations hoping to achieve a natural, non-surgical appearance. He respects his patients' desires and encourages their input and a plan is then formulated together in order to achieve their desired goals. Dr. Chin often uses a Mirror computer imaging system to simulate the possible changes that might occur from surgery. This allows computer alteration of the anatomic area so that the patient gets an idea of how this change might look on their body. This is another tool to allow effective and open patient communication that gets the patient closer to obtaining their goals. Dr. Chin prides himself on earning the respect and gratitude from his patients. His patients have described him as friendly and approachable which is consistent with his earning the title "Friendliest" of his senior year in high school! Dr. Chin is proud to earn the trust from his loyal and satisfied patients. To learn more about Dr. Chin, please contact us today! 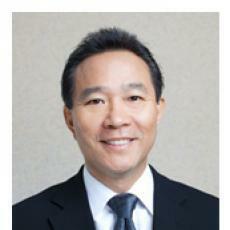 Dr. Chin specializes in cosmetic surgery of the face and body. Facial rejuvenation is accomplished with facelifts, brow or forehead lifts, and eyelid lifts resulting in a more youthful or rested appearance. Other techniques employ skin resurfacing, facial implants, lip and chin augmentation. Rhinoplasties are a challenging yet rewarding procedure for many of his ethnic patients desiring facial balance. Many physical conditions are the result of lack of development, weight changes, and pregnancy. He performs various surgical procedures of the breast such as breast augmentation, breast lifts, breast reduction, and breast reconstruction to improve body proportions, provide comfort and improvement in self-esteem. Body sculpturing is performed with liposuction, fat grafting, or direct excision of excess fat and skin of the arms, legs (saddle bags), back, flanks (love handles), and abdomen. One of the most popular procedures performed by Dr. Chin are abdominoplasties or tummy tucks where the excess skin and fat is removed from the abdomen while flattening of the abdominal contour. His goal is to help the patient feel happy about their appearance both in and out of clothing. Dr. Chin has had a successful solo practice in plastic surgery since 1993 and is the Director of the Valley Institute of Plastic Surgery (V.I.P.S.). He is fortunate to have an experienced office staff who provide caring, sympathetic, and empathetic support to his patients. They are both knowledgeable and resourceful and assist patients with many of their questions preoperatively as well as during their recovery. Patients are comforted by the fact that they have several people in addition to the doctor who can personally assist them through their surgical experience. His patients come from various ethnic backgrounds (European, Hispanic, Armenian, Asian, African-American, Middle-Eastern, etc.) and have traveled throughout California and have even come from out-of-state for his treatment.